With fraud, phishing, and email-borne malware on the rise and with the risks to brands made evident by the recent attacks on Target and Nieman Marcus in 2013, it has never been more important to protect your email channel and prevent attackers from using your brand as a means of targeting consumers. Fortunately, there’s never been a better way to do it. Agari PRO is Agari’s next-generation solution for protecting your brand in the email channel. This safe, security-focused and team-friendly offering for deploying and maintaining DMARC authentication for enterprises, becomes generally available on March 31st, 2014. We at Agari are tremendously excited about Agari PRO. Agari PRO is a huge leap forward. 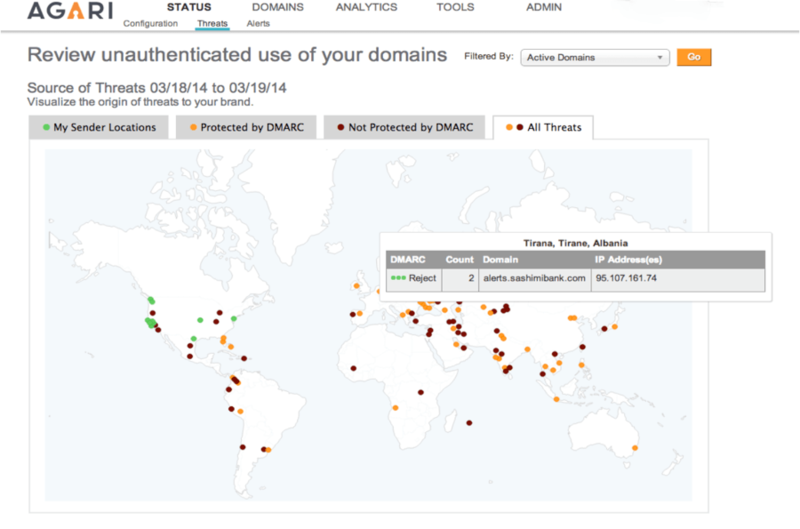 Our DMARC, SPF, and DKIM-savvy engineering and product teams, with years of experience enabling some of the biggest brands in the world to prevent abuse of their brands via email, have baked their email security know-how into Agari PRO so that your teams can confidently deploy DMARC without having to be data gurus or DMARC experts and without putting the deliverability of your business-critical email operations at risk. Our engineering and product teams have incorporated hundreds of customer suggestions and refinements. The user interface has improved navigation and information design. The various informational views (graphs, charts and tables) permit drill-downs and rapid self-guided lateral motion. As one large financial services customer put it, “…Agari is light-years ahead”. 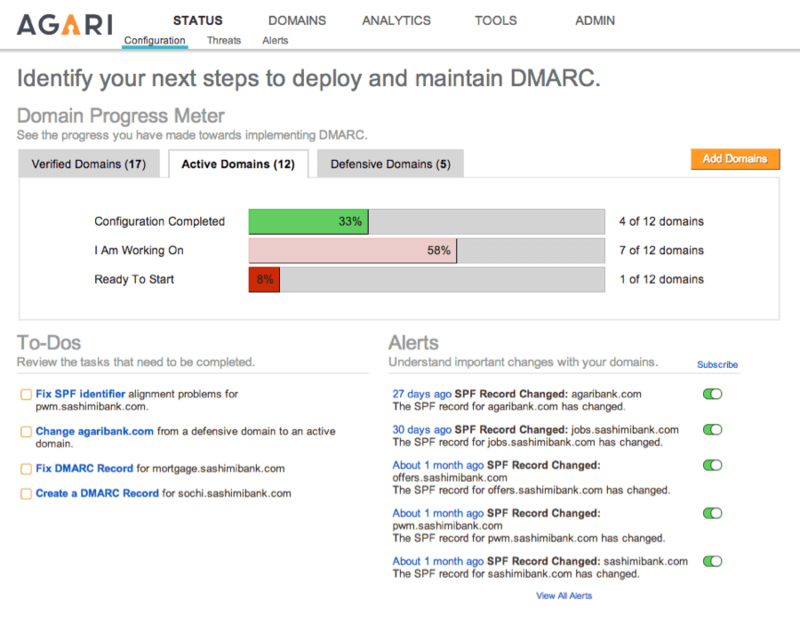 This workflow dashboard presents progress, next steps, and alerts to those deploying DMARC. The at-a-glance progress meter doubles as workflow by linking to another view. To Dos suggest next steps. Alerts inform you of changes, warn you of authentication-related problems, or lets you quickly assess threats. 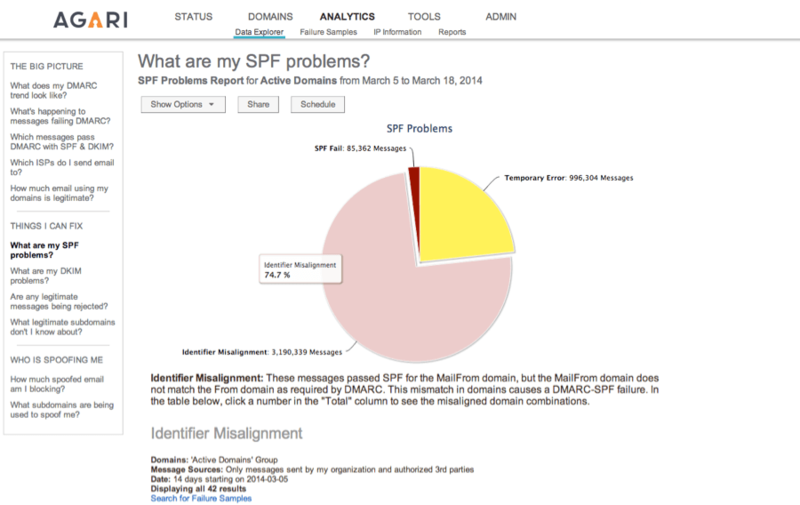 See how many threats you are preventing and take further action with diagnostic suggestions specific to DKIM, SPF, and DMARC. Zoom in on the changes that need to be made. Visualize your own sending infrastructure and those of your third parties through the interactive, real-time threat map. See attacks and drill down to understand them. Gain confidence as you see the threat volumes decline, and still be ready to respond when your brands are not yet protected. We look forward to sharing more of Agari PRO in the coming weeks. We thank our existing customers for their suggestions and for being great people to work with. And for those of you who are considering Agari, we look forward to showing you how Agari PRO can be a part of your important initiatives to protect your brands!